Philadelphia Flyers defenseman Michael Del Zotto got his wish for a contract with the Flyers before having to go to arbitration, as the Flyers announced Thursday that the 25-year-old signed a two-year deal reportedly worth $7.75 million. 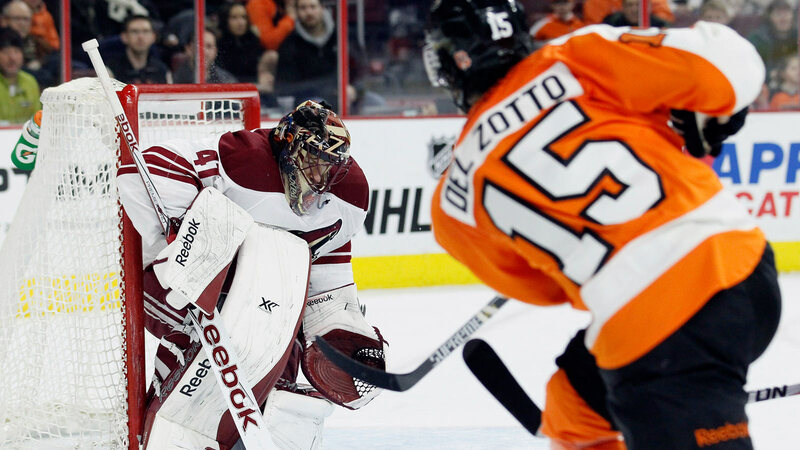 Now that the contract issues have been resolved, Del Zotto told the media on a conference call Thursday that he would like to become one of the mentors on the team over the next two years. "You learn a lot about yourself through the ups and downs and I've had that in my career," Del Zotto said on the call. "Especially coming off last year, I think there's a lot I can help with younger players, especially mentally, on being strong and believing in yourself and keeping your confidence up from a day-to-day basis. I think that's a role I'd really like to jump into and help out in." Del Zotto, who joined the Flyers last year after spending the majority of his career with the Rangers, took on an advanced role on the ice in the 2014-15 season. He saw time on the first penalty kill unit and often defended against opposing teams' top lines. Therefore, it seems only natural that he step up his game off the ice as well.